Google has refined its image search engine so much over the last couple of years, its nearing perfection at this point. With the recent wide roll out of Google Lens, you can even search any image from your Google Photos library on the web! It's great, it truly is. But one of the iffier aspects of Google image search as always been finding animated GIFs. You can always add "GIF" as a keyword to your search, but you'll still end up with a bunch of still images and it's just not that intuitive. This is about to change, however. Google yesterday acquired GIF search engine Tenor – the platform that Facebook employed to let users easily search and share animated GIFs in Messenger. Tenor has a vast database of animated images that sees over 12 billion searches a month, the company claims. With their deep library of content, Tenor surfaces the right GIFs in the moment so you can find the one that matches your mood. Tenor will help us do this more effectively in Google Images as well as other products that use GIFs, like Gboard. Tenor's acquisition by Google surely bodes improvements not only for the image search engine, but for other products as well. Tenor will continue to operate as a separate brand under Google. So, whether you’re using the Tenor keyboard or one of Google's many services and mobile apps, you can expect to see much more animated GIFs in the future. That’s a nice move by Google. 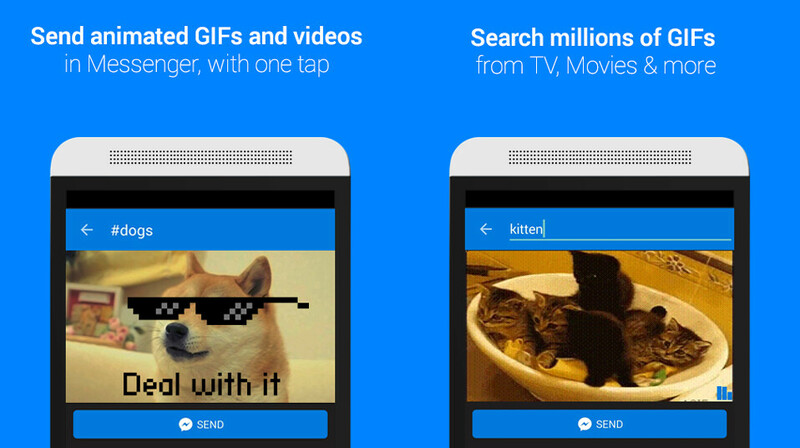 Tenor also have integrated gif search in whatsapp. Will there we a view gif option?